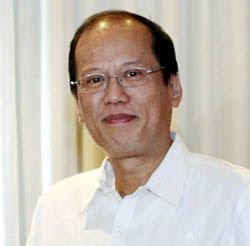 Noynoy Aquino to Run for President in 2010 | To Be, To Be. Tutubi. So Noynoy has finally announced today his intention to run for president in the coming 2010 elections after much dilly-dallying. Okay, Sen. Drilon confirmed it earlier to Arnold Clavio of Unang Hirit this morning. I am still undecided whether I will vote for him or not, until I hear his programs. He may be a man thrust in the limelight because of recent events, but we must not discount the possibilities that those around him have other agendas. With parents like Ninoy and Cory, he indeed has a lot of promise. And though there is this big pressure for him to deliver, those around him, just like the same people aroun Cory during her time, may use him for their own selfish interests. I will not be blinded by his popularity nor by his parental lineage. I will still guard my vote until such time that Noynoy can convince me that he is the best choice.